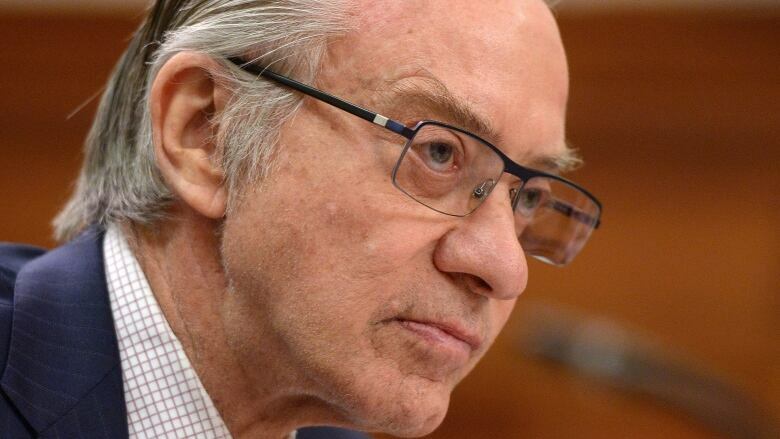 The CEO of Postmedia is defending a decision to shutter 15 eastern Ontario newspapers by mid-January, including several in the Ottawa area. The CEO of Postmedia is defending a decision to shutter 24 newspapers — 15 of them in eastern Ontario — by mid-January. The deal between between Postmedia and Torstar to swap dozens of community papers was announced Monday. Postmedia immediately announced it's closing two dozen of them including Orléans News, Ottawa East News, Stittsville News and Metro Ottawa, which published its final print edition that same day. More than 290 jobs are being eliminated. The cuts are part of a general decline within the traditional newspaper industry, Postmedia CEO Paul Godfrey told CBC Radio's Ottawa Morning. "It's kind of sad to watch the mighty newspaper industry of decades ago suddenly fall because everybody is, rightfully, going to digital," he said. While Postmedia's digital revenue is growing, Godfrey said much of the online revenue goes to large multinational corporations like Google and Facebook. Newspapers can't compete, especially since those companies don't pay Canadian taxes. Monday's deal between the two media companies allows them to acquire at least some of the advertising revenue the other had for the remaining papers in a region, Godfrey said. Postmedia has asked the federal government to provide aid to the industry, but was ultimately turned down. Godfrey said there was no point in putting the papers up for sale. "Who would buy them? Look, we had to refinance our company about a year and a half ago, and there's no buyers in Canada," he said. "This was basically a deal between two big companies to create geographic monopolies in each area for the selling of print advertising," said Christopher Waddell, a journalism professor at Carleton University. "Most of the print advertising now in eastern Ontario has to be done through Postmedia." He said while community newspapers do cover community news and events, they're really a way to distribute flyers. The general public isn't interested in paying for news online, he said. The Competition Bureau announced it would be looking into the transaction, but Godfrey said he doesn't expect any problems, considering the agency ultimately found no issues with Postmedia's acquisition of Sun Media's English language newspapers in 2015.